LOS ANGELES: Real Web Marketing Inc. (https://www.realwebmarketing.net), a website marketing company located in Southern California, has announced that it is offering Facebook advertising management. The company notes that Facebook advertising can be used for lead generation, to drive website traffic, to drive online e-commerce sales, to get likes for a Facebook company page, to get downloads of an app, or to drive traffic to a brick and mortar retail location. 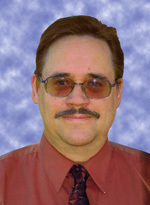 John Eberhard has been involved in marketing for a wide variety of businesses for 29 years. Real Web Marketing Inc. was founded in 1999 in the Los Angeles area, and has clients all over the U.S, in a wide variety of fields such as health care, consulting, construction, home improvement, skin care, debt counseling, personnel recruitment, court reporting, attorneys, business consulting, restaurants, drug rehabilitation, publishing, software, residential and commercial real estate, dance instruction, tax consulting, plumbing, tree nurseries, landscaping and many others. The services offered by Real Web Marketing Inc. include pay-per-click campaign management, website design, search engine optimization, social media marketing, link building, online PR, print design, market research, and video production and marketing. The company is also a Google Partner and is Google AdWords Certified. The company can be reached at 661-441-2429, or on their website at https://realwebmarketing.net.